KCA Nets First Roadway Design Win for FDOT District Six in more than 20 years!! KCA received great news on August 20 when it was selected by FDOT District Six to design the SR 5/S. Dixie Highway from N. of SW 336th Street to S. of SW 304th Street project in Homestead, FL. The win signifies the first roadway design contract win for KCA in District Six in more than 20 years. The project provides Resurfacing, Restoration, and Rehabilitation (RRR) and safety improvements along a 2.2-mile stretch of SR 5/US 1 in Miami-Dade County. The project’s improvements are aimed to extend the facility’s service life and correct deficient pavement conditions through milling and resurfacing the existing pavement, shoulder widening, and widening of turn lanes in addition to drainage, traffic and traffic control, utility coordination, landscape architecture, and public involvement work. 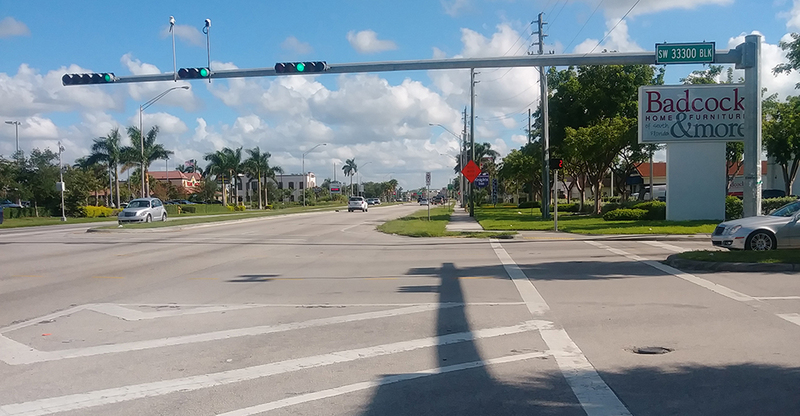 SR 5/US 1, an urban principal arterial, runs through a major commercial corridor located within the City of Homestead and Florida City. The highway is part of the National Highway System and has a Suburban Commercial (C-3C) context classification and Strategic Intermodal System (SIS) designation. KCA is teaming with Caltran Engineering Group, Inc., Agenor Campbell Structural Engineers, LLC; and Miller Legg and Associates, Inc. The KCA team is led by Project Manager, Alfredo Cely, PE, who has 14 years of project management experience including highway construction; reconstruction and resurfacing; land development of aviation, residential, and commercial projects; and development of master regional drainage plans. Congratulations to the pursuit team including Alfredo Cely, PE; Deborah Hernandez-Cedeno, PE; Tom Shaw, PE; and Curt Sprunger, PE. A big thanks to all that helped with the preparation of this letter of interest, proposal, Q&A interview, and the marketing efforts that contributed to this win!